The intensity of fighting between the Syrian regime forces and both moderate and Islamic opposition factions has diminished thanks to the ceasefire agreements in several geographical areas. This has derived from the Astana peace process sponsored by Russia, Turkey, and Iran, as well as a ceasefire brokered by the US and Russia in southwest Syria. The deals stemming from the Astana Agreement in May 2017 led to the ratcheting-up of the fight against the Islamic State of Iraq and the Levant (ISIS) in eastern Syria, which led to the fall of Raqqa to the international coalition – led by the US and the Syrian Democratic Forces, and dominated by the Kurdish People's Protection (YPG) Units. In the city of Dir Azzour, ISIS faced the same destiny at the hands of Russia, Syrian regime forces, and its allies from Iran and the Lebanese Hezbollah. In light of these critical milestones, the justification Washington and Moscow have provided for continued participation in the Syrian war must end. Syria is now at a crossroads: either the country heads towards permanent and long-term peace, or it enjoys short-term peace that destabilizes the region in the long-run. When the Ottoman Empire collapsed 100 years ago, Britain and France rushed to conclude the Sykes-Picot Agreement to split the Empire’s legacy in the Arab region, thus starting prolonged instability, which the region continues to suffer from. In his great book, A Peace to End All Peace, historian David Fromkin documented the period that coincided with World War I, the traces of which still exist 100 years later. The US and Russia seem to be rushing into a solution in Syria – an in Iraq as well for that matter. There is a worrying parallel between what the US and Russia are doing today, and the French and British models of the 20th century. This is especially the case in Syria if temporary solutions that do not address people’s substantive concerns are suggested. A short-sighted agreement would invariably cause new types of struggles and rebellion to emerge, thus leaving the Syrian crisis insoluble. Washington believes that it achieved a breakthrough when an agreement was concluded between US President Donald Trump and Russian President Vladimir Putin in Hamburg in July 2017 to free the “truce areas” in the south of Syria – mainly Daraa, Kenitra, and As-Suwaida – from non-Syrian troops. This means that Iranian and Hezbollah-backed militias will have to retreat from that area, strengthening Moscow’s conviction that it pushed Washington into military cooperation between their two armies in spite of the great tension between them. The deals stemming from the Astana Agreement in May 2017 led to the ratcheting-up of the fight against ISIS in eastern Syria. The ceasefire deal covering southern Syria included provisions to establish a control center in Amman; enable the rebel forces to maintain their heavy and medium-range weapons; identify front lines; initiate trade exchange with the areas controlled by the regime; form an opposition local council; and be prepared for the refugees’ return from Jordan and for the existence of displaced persons near the borders. However, a few months into the deal, Russia failed to achieve the agreements’ provisions, due to the gap between US and Russian delegations over how far Hezbollah and Shiite militias should be from the Jordan and Israeli borders. On the sidelines of the Asia Pacifica Economic Cooperation (APEC) meetings in Da Nang, Vietnam, US Secretary of State Rex Tillerson and his Russian counterpart Sergey Lavrov, reached an agreement, which was signed by Trump and Putin on 11 November 2017. The agreement included elements highlighting the importance of de-escalation in southern Syria, near the Jordanian-Israeli border, as a temporary step to maintain the ceasefire and deliver humanitarian assistance. Having reviewed the progress from the agreement the two presidents singed in Hamburg on 8 July 2017, Tillerson and Lavrov welcomed a new memorandum of understanding (MoU) signed between the US, Russia, and Jordan in Amman on 8 November to put the July Astana agreement into action. This MoU is expected to further strengthen the ceasefire agreement’s success in the “reduction of foreign forces and foreign combatants levels before ultimately freeing the area from them in order to ensure more sustainable peace in the region.” “Foreign forces” is a reference to the Iranian and Hezbollah militias which are deployment between Damascus and Jordan and occupied Golan. The US wants Hezbollah and Shiite militias to withdraw from Jordan and Israel. The control center in Amman, which was established under the Trump – Putin agreement will undertake the task of achieving these provisions and overseeing the implementation of the deal. However, the likelihood of military escalation in the south of Syria stems from the fact that Israel is dissatisfied with the agreements’ results because it restricted its aircraft’s ability to shell targets of Hezbollah or of any Iranian organizations near Golan or southern Syria. This is separate from Israel’s conviction that Russia will not be able to push Iranian groups a “sufficient distance,” meaning that it would resume air-strikes near Damascus and other parts between the Syrian capital and occupied Jolan. This may foreshadow a confrontation with regional and international dimensions. Recently, the Israeli army carried out large-scale military maneuvers near the Syrian border, which were intended to send a message to Moscow necessitating that Hezbollah and Iran must be kept away from the border. The media announced that Iran will establish a military base between Damascus and Golan. After the US-Russian agreement in November, the Israelis announced that they need to have a free hand in shelling any Iranian targets in Syria. The Israeli stance will be one of the factors of escalation in Syria amidst Iran’s strengthened presence. This coincided with the talks of building permanent Iranian military bases at a time when the US and Israel were hoping that Russia’s presence would weaken Iran's role in Syria. The opposition factions fighting is one of several challenges in southern Syria. First, there is fighting between factions and warlords. Nearly 35,000 opposition combatants that used to be backed by the Military Operation Center (MOC) led by the CIA will be left unpaid at the end of 2017. At the same time, they are required to fight ISIS and Jabhat al-Nusra loyalists in the south, thus starting a new chapter in which they combat extremist factions instead of the regime’s forces. How long will the Russian veto be respected by Damascus and Tehran? According to the de-escalation agreement, the Free Syrian Army (FSA) factions are required to fight ISIS and its ideology – politically and militarily – and expel the Tahrir al-Sham group (which includes Jabhat al-Nusra) after a grace period. This, however, means that a fratricidal struggle is likely to happen between factions that were once fighting together against the regime forces. Without a doubt, the factions’ dominations of the borders between Syria and Jordan and the dwindling external support may cause the warlords’ role to become more visible in view of the taxes they collect on services and trade. In Ghouta, near Damascus, where a truce prevails under Russian-Egyptian auspices, a similar trend is developing as fighting is escalating between factions and warlords. Fighting had taken place in Damascus and eastern Ghouta before the Jaish al-Islam group joined the truce in Duma, afterwhich the Failaq al-Rahman group in Jobar and eastern Gouta acted similarly. Tahrir al-Sharm has not yet joined the agreement. The August 2017 Russian-Egyptian agreement provided for the following: The First Party (the FSA) shall be committed to preventing the existence of Tahrir al-Sham group in the territories under its control in the de-escalation area; the FSA shall emphasize its stance against ISIS and Jabhat al-Nusra and their hardline ideology in any area under its control; in the case of Jabhat al-Nusra Front affiliates being ready to leave for Idlib – either with or without their families – safe exit guarantees shall be offered by the Second Party. These provisions also apply to the truce in Homs countryside, which was also signed under the auspices of Russia and Egypt. The Syrian regime’s forces are determined to regain control of de-escalation areas when opportunities arise. Damascus’ military solution plan has not changed; it is looking for a suitable opportunity to pounce on opposition areas so as to “bring everyone back under the full authority of the government,” and consider “the truce as an opportunity for reconciliation with it,” as Syrian government officials said recently. Furthermore, Damascus refuses to have a local opposition council, contrary to Moscow’s stance and the truce agreement’s provisions. The Russian Ministry of Defense deployed nearly 1,000 troops of its Russian (Chechen) military police to the de-escalation areas since May 2017 including the Quneitra, Deraa, Ghouta, and Homs countryside. The troops served as a barrier and frustrated the ambitions of Damascus, which lacks human resources. However, in view of its increased confidence in Damascus, over time these troops may challenge the cross-lines, and Russia may submit to Damascus with a view to “extending the government’s control over the country and maintaining Syria’s unity according to United Nations Security Council Resolution 2254,” according to statements from Damascus. In Idlib, there are nearly two million civilians and over 50,000 combatants from hardline and moderate Islamic factions, including over 10,000 in the Tahrir al-Sham group. Washington believes there are nearly 10,000 combatants from Al Qaeda, considering that Jabhat al-Nusra is part of Al Qaeda. It is clear that relations between Damascus and the Kurds are heading towards either negotiations or war. However, another battle in Syria could emerge in the future. Tensions have increased between Tahrir al-Sham and other Islamic factions to the extent that bloody clashes may break out in the coming months. Indications of such tensions were visible when a clash broke out between the Noureddin el-Zinki movement and the Tahrir al-Sham group in the Aleppo countryside. A third war is also possible, as Iran is pushing the regime’s forces and its supporting militias to fight in Idlib. During his visit to Idlib, Ali Akbar Velayati, the advisor of the Supreme Leader Ali Khamenei, declared the need to attack Idlib and Raqqa. Tehran, Damascus, and Hezbollah all had planned to attack Idlib, but Russia managed to prevent it. An important question to consider is how long the Russian veto will be respected by Damascus and Tehran. Furthermore, Turkey announced that it would not allow passage between the areas controlled by the Kurdish YPG – which Ankara considers a terrorist organization – and the Mediterranean Sea, in order to prevent the establishment of a Kurdish province in northern Syria and southern Turkey. Hence, it is expected that some Syrian factions will fight the Kurdish forces in the near future. Idlib is the second zone established by Turkey in cooperation with Russia. The first zone was in northern Aleppo when Turkey backed the Euphrates Shield campaign whereby the opposition factions dominated nearly 2,000 kilometers. In fact, Operation Euphrates Shield hindered the process of linking two territories established by the Kurdish Democratic Association, the political arm of the YPG. These two territories are Jazeera, near Kobani and east of the Euphrates River and Afrin, north of Aleppo and on the western side of the river. Ankara’s concern about the advancement of the Syrian Democratic Forces (SDF), comprising mainly of the YPG, is heightened for three main reasons. First, the Kurds are advancing with American weapons and a cover from the international coalition led by the US. Second, the Syrian Kurds are considered an extension of the Turkish Kurds in southern Turkey. Third, Syrian Kurdish gains and achievements as well as the separatist aspirations of Iraqi Kurdistan that came under American-Russian pressure may shift the geopolitical aspiration to Turkey. Ankara and Tehran joined forces to thwart President Masoud Barzani’s independence referendum, thus pushing the two countries to coordinate against western Kurdistan (northern Syria). In fact, such a measure is similar to an agreement in the late 1990s, which involved Ankara, Tehran, and Damascus imposing a no-fly zone in the face of the Kurds in northern Iraq. Furthermore, in spite of Washington’s reassurances that no political promises will be given to Syrian Kurds and that the American and European weapons will be withdrawn from the YPG once ISIS is defeated, the Turkish army may find itself in a position whereby it has to broaden its range of confrontation with the Kurds and cut deep into northern Syria just as happened a decade ago in Iraq. Since 2012, Damascus has been turning a blind eye to the Kurds’gains on the gounds because they were not a priority. Yet, over time, and as confidence of the Syrian regime increased and the FSA retreated, a new fighting front between Damascus and the Kurds opened and Damascus began to turn a blind eye to the Turkish army’s bombing of the YPG. This happened previously in Iraq years ago. Besides this, Damascus did almost nothing when the Turkish army backed Euphrates Shield factions to establish an enclave between Aleppo and the border. In September 2017, 18 countries announced that they will not participate in Syria’s reconstruction efforts unless a political solution is reached as stated by Resolution 2254. Officials from Damascus had spoken of an upcoming war against the Kurds, a threat which was repeated by Iranian officials. It is clear that relations between Damascus and the Kurds are heading towards either negotiations or war, and an end to their “marriage of convenience” –which has been in place since 2011 – is looming. The regime forces did not fight the “Democratic Federation,” which is close to the Kurdistan Workers Party, chaired by Abdullah Öcalan. With the regime’s nearly 70,000 combatants and sophisticated weapons from the US and Europe, Damascus focused on fighting the FSA instead. The US and Russia had agreed unofficially on spheres on influence, something that was confirmed by the agreement singed by Trump and Putin on 11 November 2017. The hotline between Moscow and Washington prevents the emergence of frictions in eastern Syria between the regime’s forces and Hezbollah (backed by the Russian army) on the one hand, and the Syrian Democratic Forces (backed by the international coalition), on the other. The Democratic Union Party (PYD) – the political arm of the YPG – is aware that Washington betrayed the Iraqi Kurds in the 1970s and acted similarly with the Iraqi Shias in the 1990s – and with the Sunnis in recent years. Therefore, they are not excluding the possibility of the US betraying the Syrian Kurds further down the line after ISIS’ defeat. Some Kurdish officials believe it is in their community’s interest to slow down the fight against ISIS with a view to strengthenING their military presence on the ground under a federation to be established in northern Syria. However, other Kurdish officials are preparing for a “great battlefield” in the Euphrates Valley, considering that ISIS’ elements will gather again after they have escaped from Raqqa, Dir Ez Zour. Kurdish leaders want to keep US military presence in the east of Syria. The confrontation is possible, especially given that Tehran seeks to test the Trump administration’s military determination to curb Iranian influence and block the way linking Tehran, Baghdad, Damascus, and Beirut. Iran was very keen to control Al Bukamal (north of the US al-Tanaf military base in eastern Syria) and encouraged factions within the Iraqi Popular Mobilization Forces to cut deep in southern Syria. Should this happen it may pave the way for a possible confrontation with between Damascus and the SDF, or Arab fighters will pull out from the SDF due potential tensions or struggles between Arab tribes and Kurds post-ISIS. The regime-held areas are lacking natural resources. Considering that gas and oil in eastern Syria is under the control of the SDF and US allies, the reconstruction issue has become something akin to a battle. This is because Western countries declined to support such an endeavor without an acceptable political solution – let alone the fact that the regime’s allies in Russia and Iran lack the financial capacity to compensate the cost of destruction in Syria which has exceeded 220 billion dollars. In a meeting held in New York in September 2017, 18 countries announced that they will not participate in Syria’s reconstruction efforts unless a political solution is reached as stated by Resolution 2254. This decision will cause major problems in regime-controlled areas. It is interesting to note that when it comes to post-war reconstruction, there have been indications of other possible battles between war lords and new businessmen who emerged by taking advantage of the country’s war economy. Actors such as these are competing for a portion in the future of a country where corruption and crime rates soared dramatically and the administration efficiency declined. It is also possible that there will be a war between Iranian backed militias and the regime forces. The former comprises both Syrian and foreign elements loyal to Tehran and whose total number exceeds 70,000. In an attempt to balance Iranian influence, the latter includes troops – known as the 5th Corps – which Russia is trying to maintain by forming Russian-affiliated militias. Moscow decided to form the 5th Corpse particularly because of Putin’s decision not to send ground forces, retaining only the air force and observers from Chechnya. This decision meant that Moscow had to depend on the Tehran-backed militias, thus increasing the tension between the Shiite militias and the Sunni majority in Syria – unless Moscow establishes its own militias in Syria. It is important not to forget existing sectarian tensions, particularly in Damascus and the areas located between the Syrian capital and the Lebanese border, as well as in the areas controlled by Hezbollah, Tehran’s ally in Lebanon. This is because of the increased presence of Iranian-backed militias that act in a sectarian manner amidst Iranian endeavors to carry out demographic changes unacceptable by a large portion of the Sunni population. There is a second complicated course that requires patience and persistence to reach a permanent solution in Syria. It entails a combination of meeting the Syrian people’s demands with major regional countries’ interests whereby Syria – which is at present being characterized by its geopolitical location among Turkey, Iraq, Lebanon, and Israel and, on a broader scale, among the Gulf region, Europe, Egypt, and the US – can become a center point for the confluence of interests, rather than a flashpoint as it has been over the past years. The political process must be led by Syrians, as envisaged by Resolution 2254. Of course, this Trump-Putin agreement includes another regression in Washington’s position on the Syrian regime. The first regression came with the launch of the Vienna peace process and the establishment of the International Syria Support Group – consisting of over 20 regional and Western countries headed by the US and Russia – after weeks of direct Russian military intervention in late September 2015. At that time, interest in the Geneva Communiqué, issued in 2012, waned gradually, with the Communiqué calling for the formation of a “transitional governing body with full executive powers.” Instead, Resolution 2254 was adopted unanimously in December 2015 and included three provisions: forming a non-sectarian representative system of governance; adopting a new constitution; and holding elections. Yet, the important part of the elections is that Washington agrees to support the Geneva process under the UN auspices. The Trump administration was not a part of Astana because it objected to Iran’s attendance as a guarantor. Although the Trump administration attended as an observer, it was clear that it became more interested in the launch of the Geneva peace process, especially after the defeat of ISIS in eastern Syria was looming. This trajectory may lay the foundation for a political process that leads to long-term stability. However, it requires a series of steps: American-Russian sponsorship; political determination to push negotiations forward; participation of major regional countries like Turkey, Iran, and Saudi Arabia with a view to pressuring the opposition to reach understandings and political agreements; and Syria’s unity. The launch of a political process requires the combination of two approaches: both a bottom-up approach and top-to-bottom. This means that the local councils that were formed in the four de-escalation areas and in the areas liberated from ISIS must participate in the political process. In addition, opposition forces must participate in negotiations with the regime to search for a political and military solution in Damascus. Here, the decentralization model seems to be suitable for Syria in the future: maximum localization or decentralization without dividing the country. It is important that local councils are based on geography, not demographics. According to Resolution 2254, this would maximize Syria’s unity. Considering the existence of tens of thousands of combatants in both the opposition and the regime forces, it is necessary that a joint military council is formed to gradually guide coordination between combatants, the reformation of security apparatuses and the army, and the establishment of a timetable for disarming militias and removing foreign combatants from Syria. The launch of a disciplined and gradual process with political and military dimensions must lead to more control over the de-escalation areas in order not to shift into spheres of influence of other countries. Such a procedure must ensure that pre-requisites for political work and a neutral climate are met in order for the Syrian people to decide their own destiny. Additionally, the political process must be led by Syrians, as envisaged by Resolution 2254. Without a doubt, a solution as such would encourage European countries, the US, the Gulf states, and the regime’s allies all to participate in the reconstruction of Syria and make available 220 billion dollars required to revive the country. In addition, such a process would lay the groundwork for accountability and responsibility for the war crimes committed by different parties, and for addressing the real grievances harbored by hundreds of thousands – even millions – who were victimized by the war. There must be a process for reconciliation as well as for healing the wounds in the social fabric based on tolerance and accountability. History has taught us that a delay in addressing problems causes them to escalate. In fact, Mosul fell into the hands of ISIS years ago because of the delay in addressing the major Sunni component’s problems in Iraq. The Syria we know has gone, and a new state is being born. So, Syrians must decide which country they wish to live in. Similarly, the neighboring countries have to decide whether their neighbor will be a fragmented failed state that remains a source of threats, terrorism, refugees, chaos, or if Syria will emerge from a bitter war and head towards a better future. In fact, the urgency to find superficial solutions that do not address crucial issues could lead to the emergence of a new type of insurgency, violence, and more profound rebellion in Syria. Hard-liners could then find supporters among the Syrian people. There may be several scenarios, but there is one imperative: Syria must not turn into Iraq or Afghanistan. 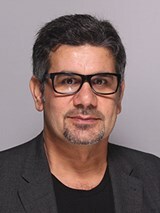 Ibrahim Hamidi is the Senior Diplomatic Editor at Asharq Awsat, an Arabic international newspaper based in London, the UK.